To view messages coming to e-mail, send and sort them not only by means of a computer. This service is available when using the mobile phone. Thanks to e-mail you can log from your cell phone. 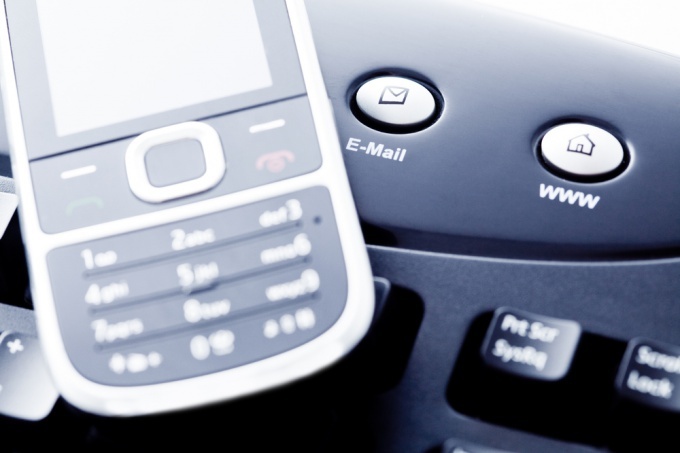 Mobile versions of sites and e-mail allow you to always be abreast of the latest developments and new messages. Also with the help of your phone, you can exchange e-mails, view photos, send instant messages. Log in email from the phone in different ways. For example, to install a mail client of its service. If your email is "Yandex", connect the phone Internet and go to m.ya.ru/ymail that will need to type in the address bar of the phone. Wait until the service will determine the model of your phone and will offer a link to download the application. Follow the link and download the program. If you haven't mastered on my phone browsing and opening Internet pages is enough to follow the address m.ya.ru/ymm and load the program. Type in the address bar the following combination mail.yandex.ru/, then select located at the bottom of the page the "Mobile version". Follow the link and enter in the appropriate fields username and password by email. Go to mail and then save a bookmark to the open page. If you are comfortable working with computer, go to the page mobile.yandex.ru/mail/download/ to select the model of your phone, click "Download application" and save the program to your computer. After that, you will just throw the app in the phone. Another option for loading applications is also possible using a PC. Connect the computer to the Internet and type in the browser address bar mobile.yandex.ru/mail/iphone/. Then follow these steps. To start, you need to enter your phone number in a special field. This is necessary in order to on the mobile was delivered the link to download the program. Then you only need to pass it from phone and download the app. With good speed on the download and installation will take no more than five minutes. Such mobile apps are available on other mail services. If desired, you can install them the same way. Or go with the phone the mobile version of the mail service, after typing in the beginning of the address letter m. For "Yandex" – m.ya.ru for Mail.ru – m.mail.ru, use email to Gmail – dial m.google.ru on "Rambler" – m.rambler.ru. So to complete the task will be even easier. In today's world of email, including email to cell phone is a daily attribute of life of most people. The only and very significant problem when working with e-mail in the cell is insufficient power transmit/receive data and the speed of their download. Primarily, this problem stems from the fact that e-mail was originally designed to work on a personal computer and, therefore, was calculated for different volumes and power. Today, however, these difficulties can be solved, it is enough to correctly configure the mobile email. First, you must ensure the connection with the mail server and the data channel. There are two types of channels data transfer: GPRS is a high speed channel with the payment of traffic volumes obtained information; GSM – channel medium-speed, able to work continuously, but with activated data transfer service. The phone will also need to configure the email function. Should go to your phone menu, find menu, messages and settings. In the e-mail settings specify two server incoming POP and outgoing SMTP mail. You must then enter your name for your mailbox and your email password. 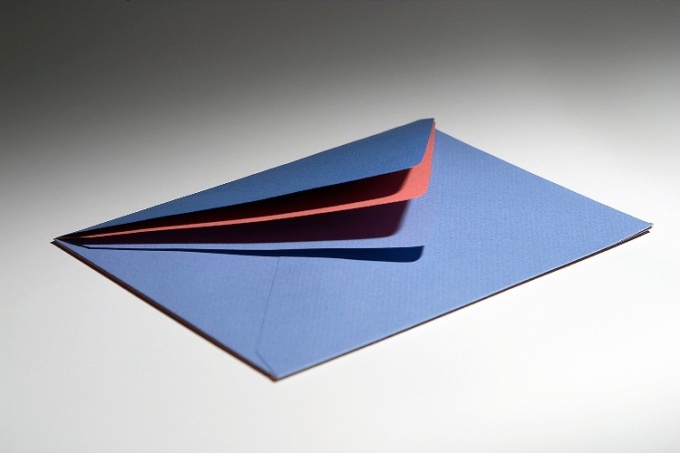 To simplify working with email, the users email program. These utilities are especially useful when opened several mailboxes. Checking the browser each time to open the mail server. Save time, select mail in the default. How to configure all e - mail by default? Email programs allow you to collect and store mail from all mailboxes at the same time. Mailers a lot to start with, learn the simplest, is embedded within Microsoft Windows. In Microsoft Office Outlook Office includes a utility. So, run this mail program on your computer. Select start, then All programs, find the line "Windows Mail". Create a new account, select "Account". A window opens in which select the "Add" button. The following window appears, where you select the type a new entry, click "Account email". Then enter the name that will be displayed in all emails, click "Next". In the next window enter the email address, click "Next". Take the following settings from all care. Set up receiving and sending mail correctly. Enter the server names that should match the incoming and outgoing mail. For incoming mail server enter pop3.mail.ru (if your mailbox was on mail.ru such data add to the smtp server. On the same principle, add the name of any other mailbox. Check the box for "authentication", click "Next". In the next window, enter the mailbox name and password, check "Remember password" so you don't have to enter it each time you open the program, click "Next". The following configuration window involves settings at default. If you do not want the program each time to download all the emails from the server, select the corresponding check box. Don't waste the extra traffic if the emails in your box a lot, configure the program to receive only new emails. Note the settings of the program. Select the "General" tab, set the most convenient of settings. For example, the frequency for checking for new messages, the output audio signals when receiving messages. In the Send tab, configure the format of your messages - HTML or plain text. The "Read" tab allows you to define settings for read messages, check the automatic settings. Tab "Remote communication" allows you to configure the connection to the Internet. Instead of Office Outlook, you can use any other mail program. After completing all the settings on your own, you can set mail default than simplify working with all mailboxes. 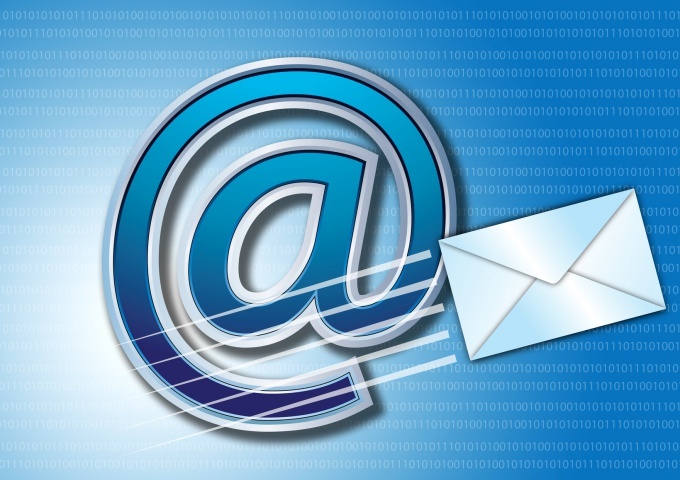 There are two ways to work with email: online and offline. When selecting an online way all your messages are stored on the server, and to access them using a web interface mailbox. If you are using an email client such as Outlook Express, then your emails are downloaded to your computer and you can access them even without Internet. Register a new mailbox to set up email. To do this, go to any free email systems like gmail.com. Select the link "Create an account", then fill out the registration form: username, password, name, security question (used if you forget your password). Click "Create account". Next, you will be moved to your Inbox. To configure mail, go to "Settings", then "Forwarding POP", select "manual setup". Next, you need to choose the email client that is installed on the computer and follow the instructions. Run Outlook Express to set up email on computer. Go to menu "Tools" there click "Account", click on the "Add" button, then select "Mail". Enter the name that will display in your e-mails in the field "Short name", click "Next". In the next window, enter the complete your email address (имя_пользователя@gmail.com) in the form field "email Address). Type the following address – imap.gmail.com set the "incoming Server" and the address of the outgoing mail server smtp.gmail.com – in the field "outgoing Server", click "Next" to continue configuration of the email. Enter the username, including the part @gmail.com in the account name, then fill in the field called "Password" and click "Next". Click the "finish" button, select the field "Account", there you select the line imap.gmail.com click "Properties", go to the "Advanced" tab, check the box next to "secure connection". Next, go to the tab "Servers", check the box next to the option "user authentication". Click "OK". The mail setup on the computer is completed. Similar instructions for other email clients can be found on the website http://mail.google.com/support/bin/answer.py?answer=75726&ctx=mail&&hl=ru. If your mobile phone can access the Internet, that means your mailbox, you can use it wherever there is coverage of your mobile operator. To access email from a mobile phone as from a computer in two ways: through a browser using the web interface the mail service, and with the help of special programs — email clients. Log in to your mailbox via the web browser of the phone. To do this, start the browser and enter in the address bar the URL of your mail service. Many web sites have their own mobile counterparts. 'Pages of mobile versions of sites are different from the normal letter m at the beginning:- Mail.ru – m.mail.ru;- Gmail – m.google.ru;- "Yandex" – m.ya.ru;- "Rambler" – m.rambler.ru etc. Find on the page a link to log in to the mailbox. Enter in the corresponding fields your username and password as you usually do on the computer. Install, if required, check box in the line "Remember me". Click on the button "Login". To continue to log into the mail didn't have to enter the URL manually save the link to the page in the browser's bookmarks. Do not worry if you do not know the URL of the mobile version of your site — use the normal. Redirect to mobile version automatically during page load. Another thing is that mobile versions are not always convenient to use — sometimes they are missing some important functions. For example, you cannot view attached files. In this case, you will need to switch to the full version. Most links for this switch are located at the bottom of the page. Use for work with mail client software. For mobile phones, as with computers, there are program-collectors letters. Apply them especially useful if you use multiple e-mail addresses. If you create such a program accounts for each of your account, you don't have to constantly go out of the box in a box — the program will collect all the letters together. Such built-in functionality provided by many modern mobile phones. If your mobile is not one of them, look for the appropriate version of the mail client in the Internet. 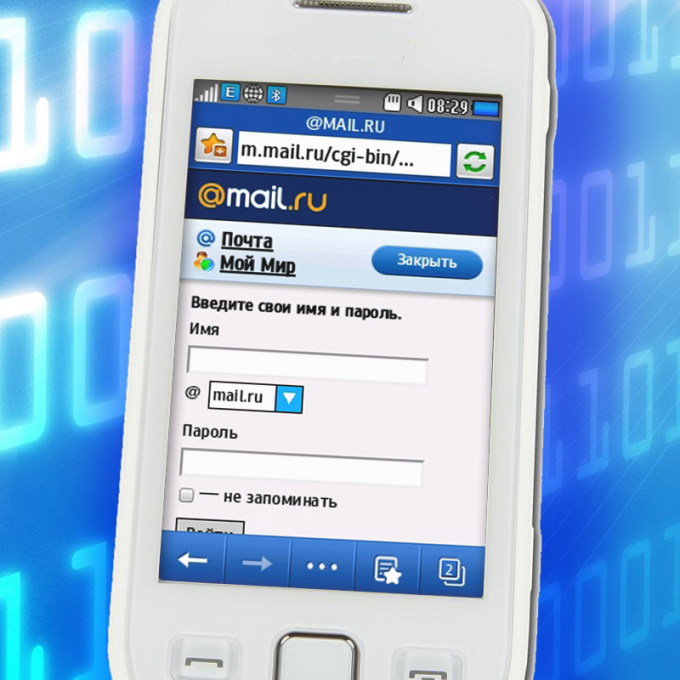 Don't forget that many popular e — mail service Mail.ru, Yandex, Gmail has launched its own mobile app. These programs allow you not only to read and send emails but also to update the status on your personal page, chat chat with friends online, use maps, etc. Download the program from the website of your mail service. The easiest way to do it, if you go to the page via the browser of the phone. In this case, you probably do not have to find a suitable application version for your model of phone, you will be prompted to install automatically. After completion of installation process run the application and log in with your username and password.